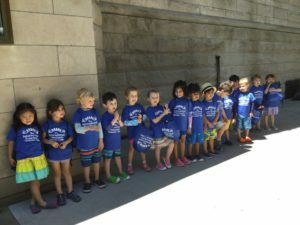 Summer Camp 2019 at The International Preschools! Heading to swim lessons at IPS Summer Camp! Spring will arrive on March 20th, but here at The International Preschools, we are already looking forward to the commencement of summer camp! This year’s camp season will begin on Tuesday, June 11th and run for seven weeks through August 2nd; camp will be closed the week of July 1st. Read on to find out what to expect, what’s new, and how to sign up for camp!